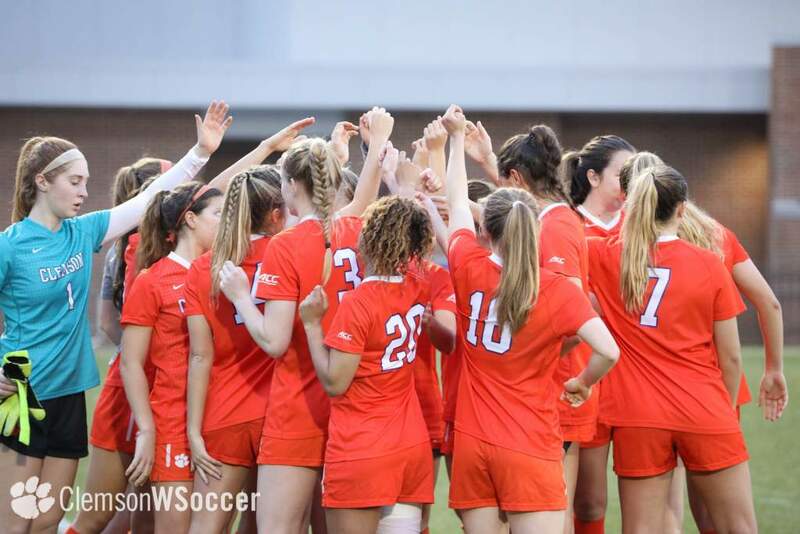 SYRACUSE, N.Y. – Jenna Weston scored her fifth goal of the season in the 15th minute of Clemson’s (13-3-1, 7-3-0 ACC) 1-0 win over Syracuse (7-11-1, 3-7-0 ACC) on Saturday at the SU Soccer Complex on the campus of Syracuse University. The game was scoreless until the 14:03 mark when Samantha Staab took a free kick from just past midfield. The long service from Staab sailed into the box and Weston was able to head it past the Syracuse keeper to put the Tigers on the board and give them a 1-0 lead. The assist was Staab’s seventh of the year, most on the team in 2015. Head Coach Eddie Radwanski thought this year’s performance has been a step in the right direction for the program. 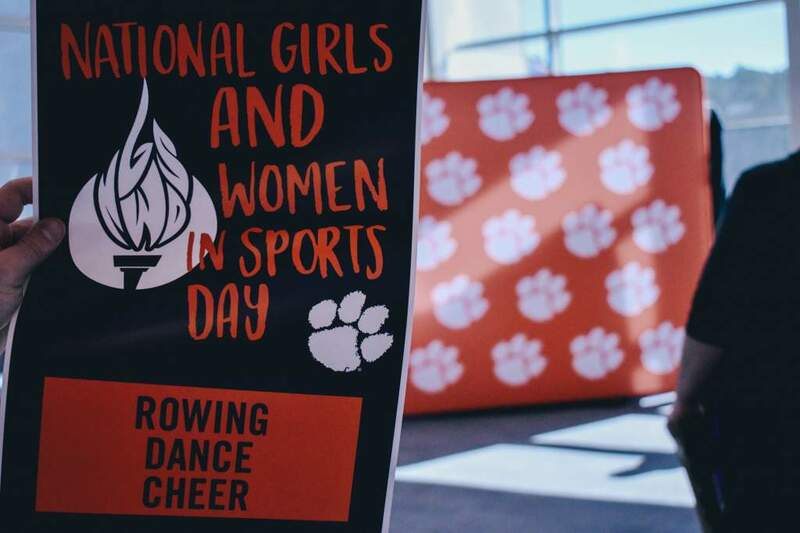 “It was a big win today, and the team finishing with seven wins in the ACC and qualifying for the ACC Tournament is a wonderful compliment for these young ladies. 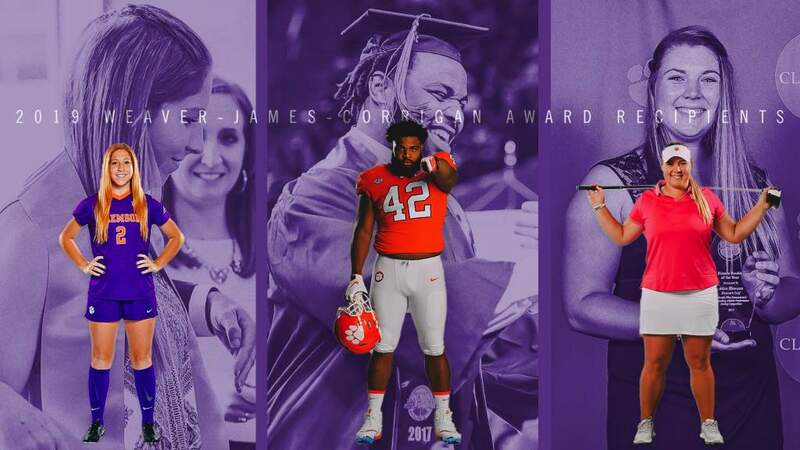 The turn around of this program is a testament to the work the players have put in and also a testament to the, often unnoticed, work of the amazing staff I get to work with, Jeff Robbins, Siri Mullinix, Julie Davis Carlson and Manuel Garcia-Oronoz. 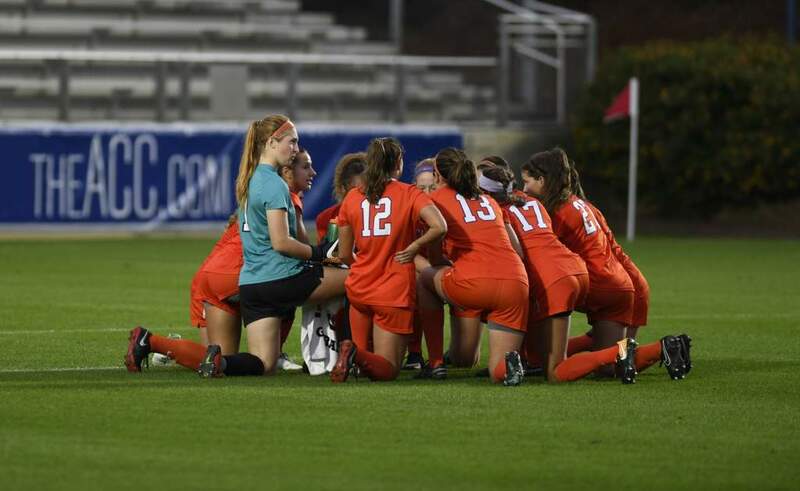 After the goal just 15 minutes in, Clemson played defense the remainder of the contest and junior goalkeeper Kailen Sheridan kept a clean sheet for her sixth shut-out of the season and 21st of her career. The 21 career shutouts for Sheridan move her into second place all-time in career shutouts, tied with Ashley Phillips who played in goal for the Tigers from 2004 to 2007. With the win, Clemson clinched a spot in the ACC Tournament for the first time since 2007. The tournament will be played in Cary, N.C. with the semifinal matches being played on Nov. 6 and the final on Nov. 8. 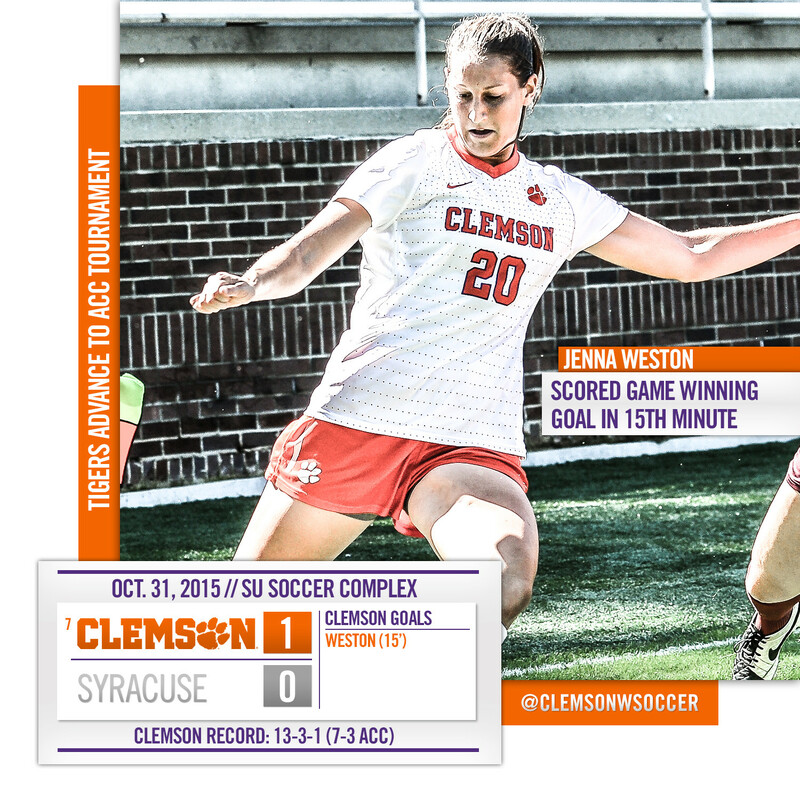 Clemson will know its opponent and game time after the completion of ACC regular season play on Sunday, Nov. 1.